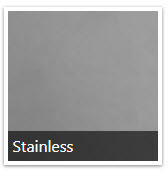 Our brushed stainless steel fixtures are designed to seamlessly match outdoor kitchens, grills and cabinetry. The LED modules are attached with no exposed fasteners, allowing it to be installed anywhere. The fixtures themselves fit under a cap or anywhere within a wall. We will be offering four varied lengths to meet your lighting requirements… 6″, 12″, 18″ or 24″. The fixture body is made from 20 gauge stainless steel, ensuring it will last the lifetime of your hardscape. Equipped with an energy efficient LED package and available in three color temperatures: 2700K warm white, 3000K white or 4200K cool white. Our Outdoor Kitchen Fixtures are available in brushed stainless steel to match outdoor kitchens, grills and cabinetry.